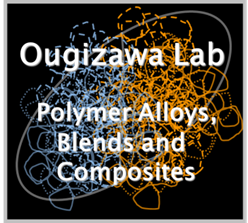 Welcome to the web page of Ougizawa Laboratory in the Graduate School of Engineering,Department of Organic and Polymeric Materials at Tokyo Institute of Technology. Toshiaki Ougizawa is the professor of this Laboratory and is a well established polymer alloys and blends scientist. With advanced instrumentation techniques, research in Polymer blends in this laboratory has reached new altitudes and therefore the motto of this Laboratory is “To the nextstage of polymer blends and alloys”. Information on research areas of this laboratory is given below with a brief description.